Go to "The Strongest Man"
Jesus didn't deny that Satan is strong, but He preached that He's stronger and able to deliver people from Satan's kingdom. What happens when people try to remain neutral toward Christ? It's an impossibility! They're either for Him (gathering with Him), or against Him (scattering). They might remove sin (the unclean spirit) from their lives (houses), but if they don't receive the Holy Spirit (they remain "empty"), they end up worse off than before. Learn why this is the case! Lesson 2: There are no spiritual ______________ (Luke 11:23; John 8:44). Lesson 3: ______________ reform without ____________ regeneration doesn’t last (Luke 11:24-25, 39-41; Matt 12:44; Matt 5:20). (Part I) ______ __________ (Luke 11:26; Jam 1:15). (Part II) ____ ________ to hell (Luke 11:26). Day 1: Read Luke 4:17-18, 8:28-31, 11:14-22, John 12:31, 1 John 3:8, 4:4, Isa 53:12; Col 1:13, 2:15; Acts 26:18; Eph 4:8 and discuss: Did it surprise you to learn there are only three seasons of intense demonic activity in human history? Why is there such strong activity preceding Christ’s First and Second Comings? How does it affect your daily life to know Christ has such strength and power over the demonic realm? Day 2: Read Luke 11:23-25, 39-41, John 8:44, Matt 5:20, 12:44, and discuss: What does it mean that there are no “spiritual orphans”? Why do some people think they can be spiritually neutral? What does their “spiritual neutrality” truly mean? What makes Jesus the most divisive Person who’s ever lived? 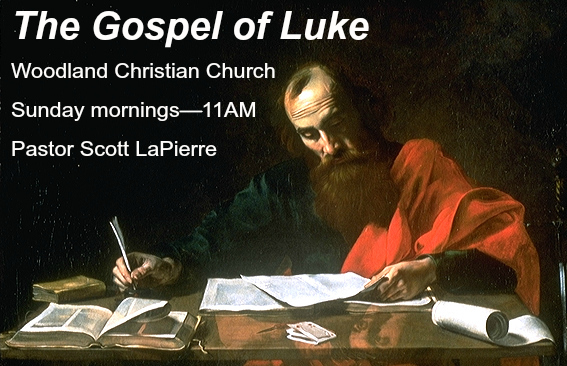 Day 3: Read Luke 11:24-26 and Jam 1:15 and discuss: Why was the last state of the man worse? What happens to sin that remains in a person’s life? Can you describe what this looks like, perhaps from your own life? Why do we fail when we put off without putting on, or in other words, repent without bearing fruit (as John the Baptist commanded in Matt 3:8)?